I'll start by saying that hiking has never really been a thing for my family. Our lovely neighbors in England would have a bit of a giggle if we shared that we had taken a walk that day. We aren't outdoorsy people, what can I say? And don't even get me started on the idea of camping. But hiking IS a thing here. A big thing. And I understand why. 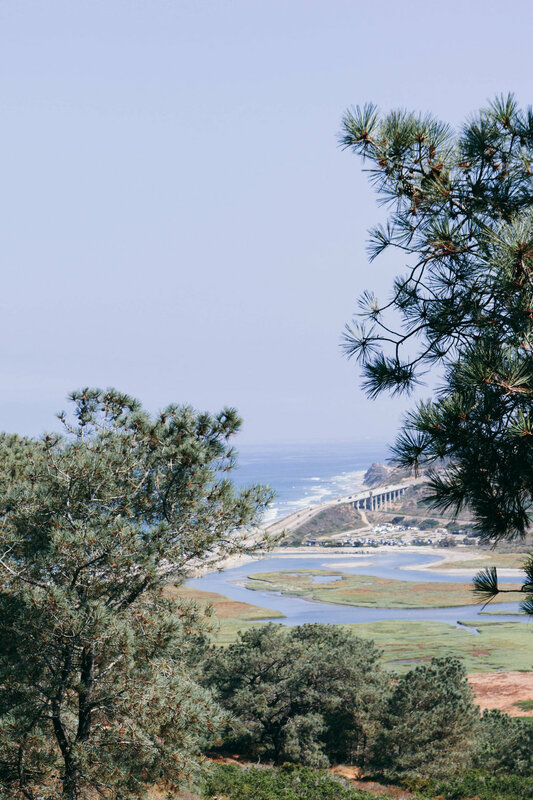 California has some spectacular landscapes. Why wouldn't you want to get out there and enjoy it, especially when the weather is as perfect as it always is around here? So we did it. We drank the kool aid and went for a hike. Two hikes, actually, two weekends in a row! Who are we?? 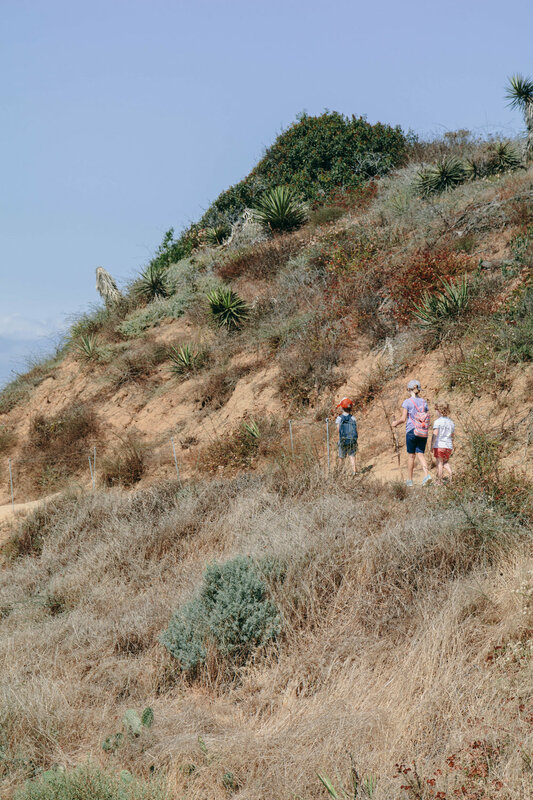 It turns out that we are people that kind of like hikes. And when I say hikes, I mean easy walks on marked paths with no special gear required. Except for maybe your superhero cape. 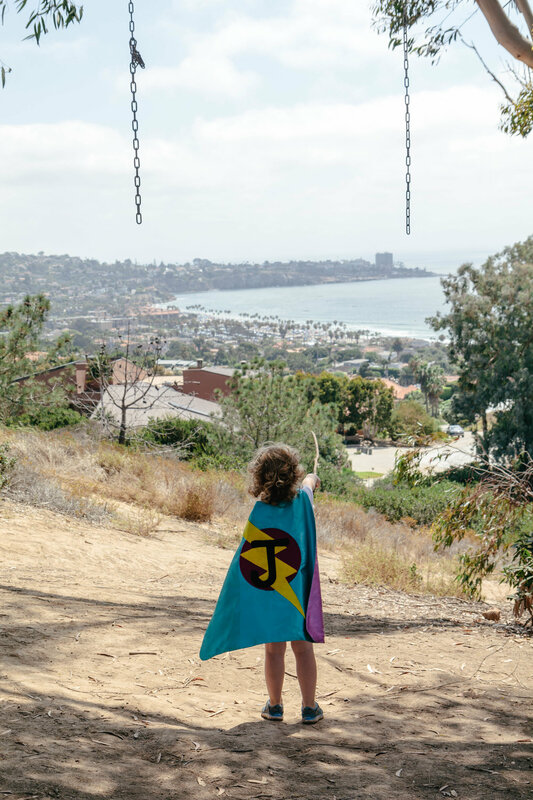 Our first hike took us on a quest to fine the secret swings of La Jolla. Turns out they are so secret, they don't exist anymore. But you know what? 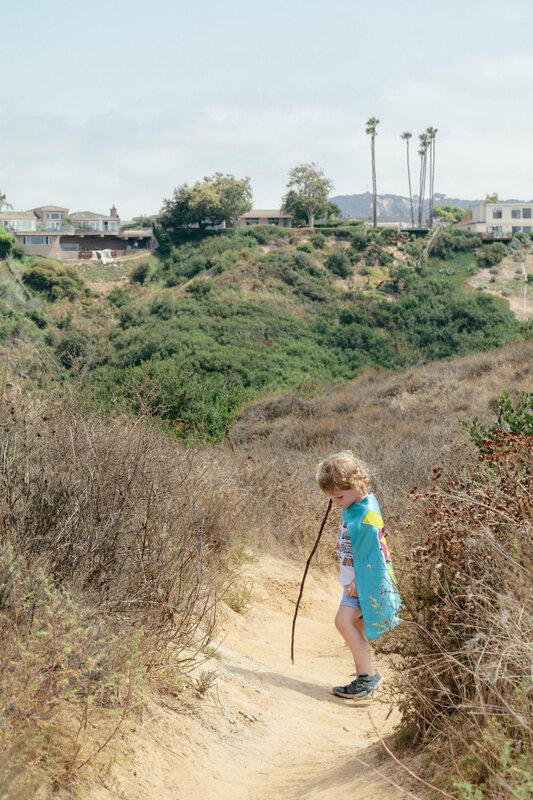 The photos from that hike are some of my favorite photos of my daughter that I've taken recently. She's not one to pose for the camera anymore (I apparently take too many photos), which is fine because I'm not a huge fan of posed photos, anyway. These images capture her personality at this age far better than a photo of her smiling at the camera would. 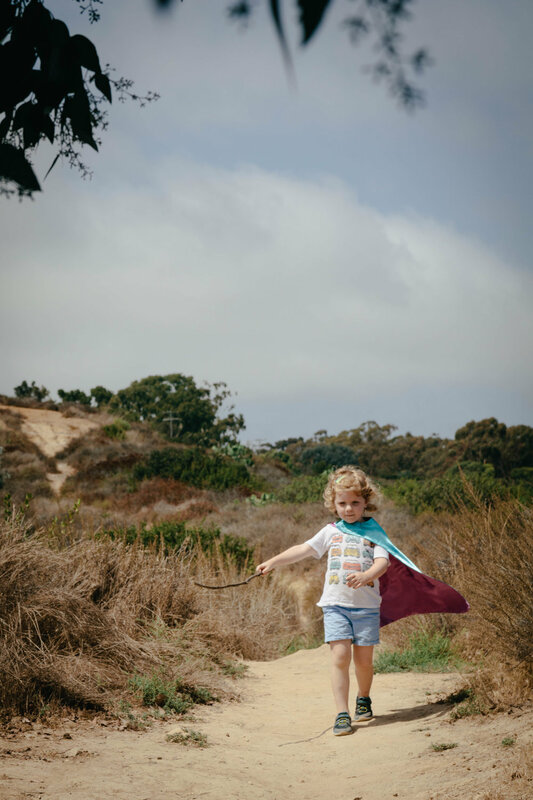 She's a superhero, a tomboy, a lover of cars, her dad, and her blue play shoes. And those curls? They are my favorite feature of hers. 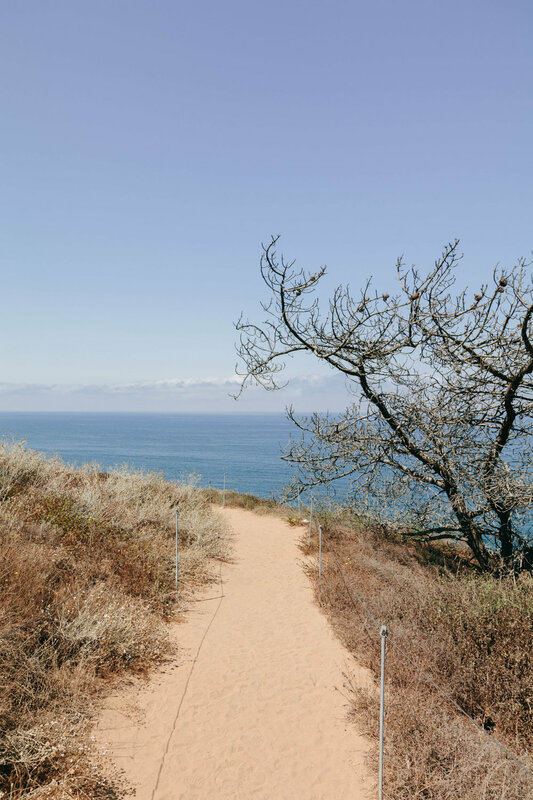 So yes, this post is about our inaugural hikes in San Diego, but it's also a little about my philosophy regarding lifestyle photography. When she heads off to college in 14 years, these are the memories I want to trigger when I look back at photos. They represent her spirit that an image of her neatly posed in front of a tree just wouldn't. 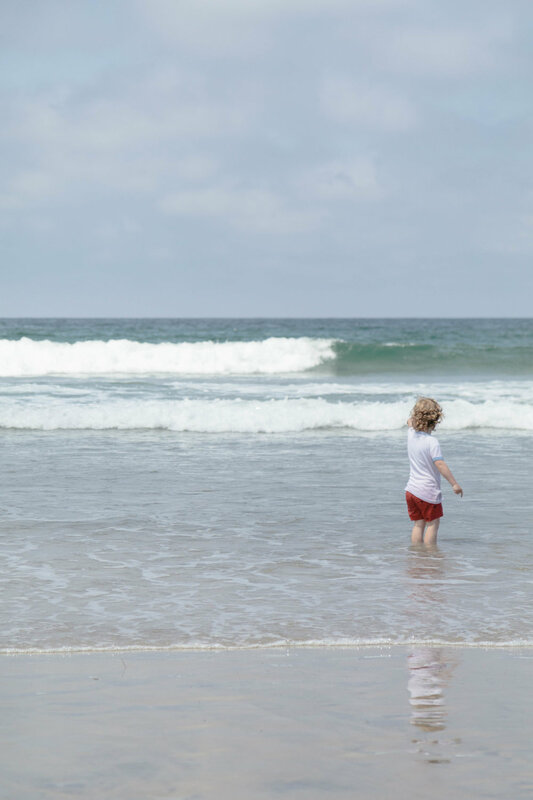 There is certainly a time and place for those photos, but when it comes to capturing families - and children, in particular - it's the spirit that I'm after. We took our second hike with our best family friends who we are lucky to have living nearby. 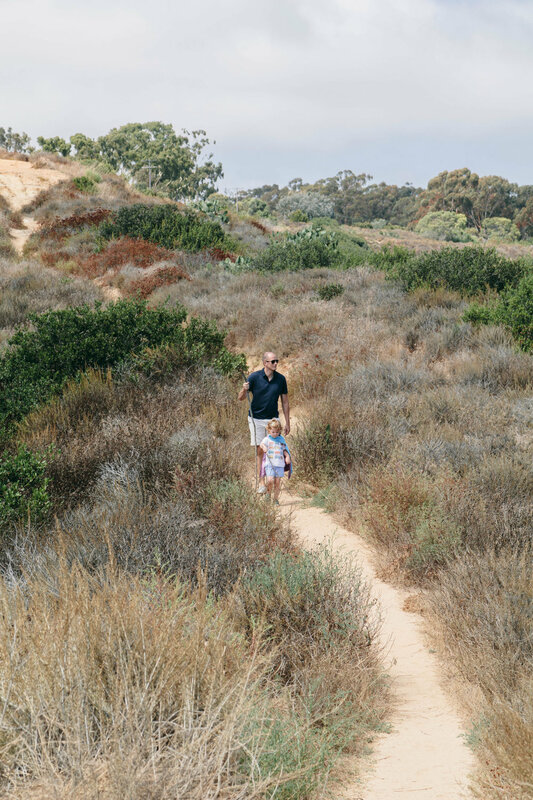 The Guy Fleming trail at Torrey Pines State Park is wonderful for children - an easy loop with interesting vegetation and gorgeous ocean views. And the reward for all that walking? A run into the ocean, fully clothed, her spirit shining through the entire time.